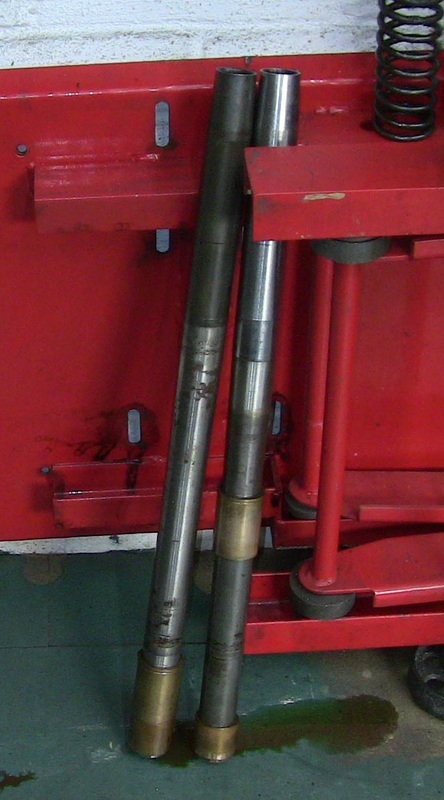 Old and new fork stanchions. 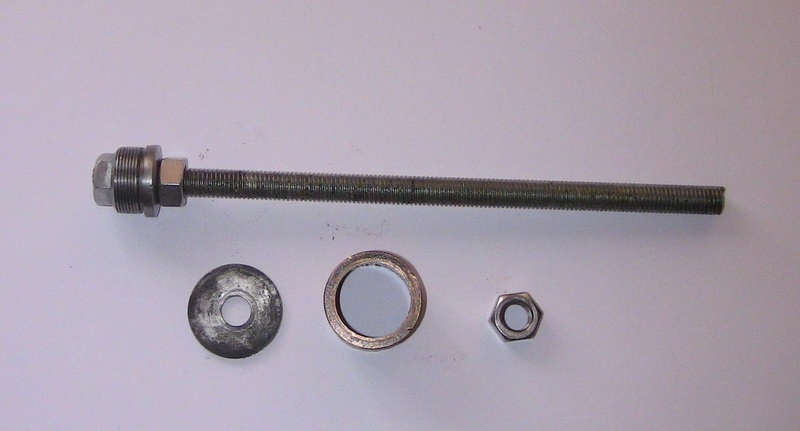 Stanchion pulling tool in operation. 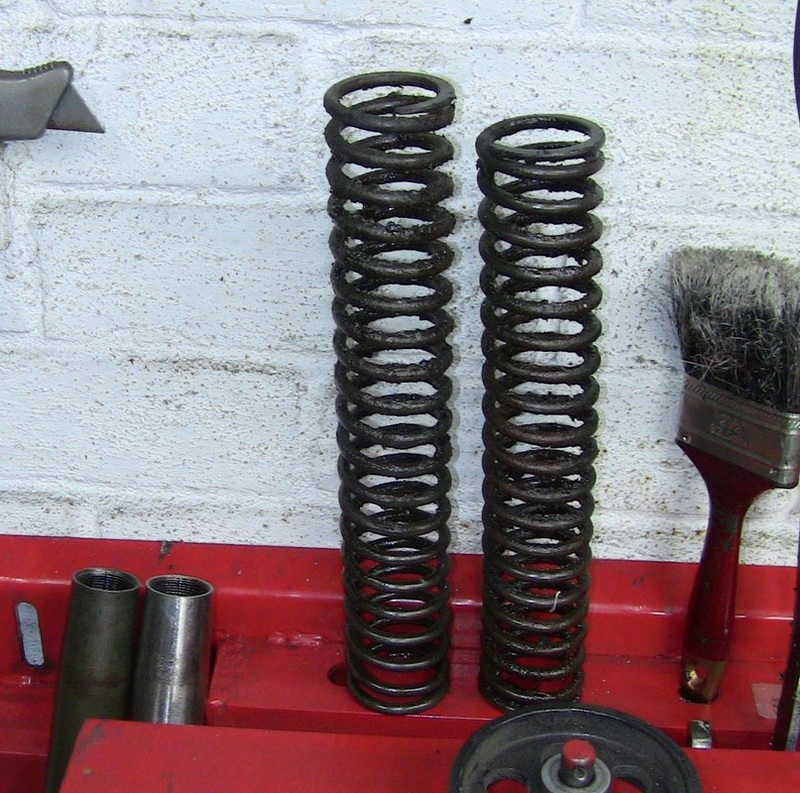 The steering head bearing cups are removed using a BSA extractor tool. 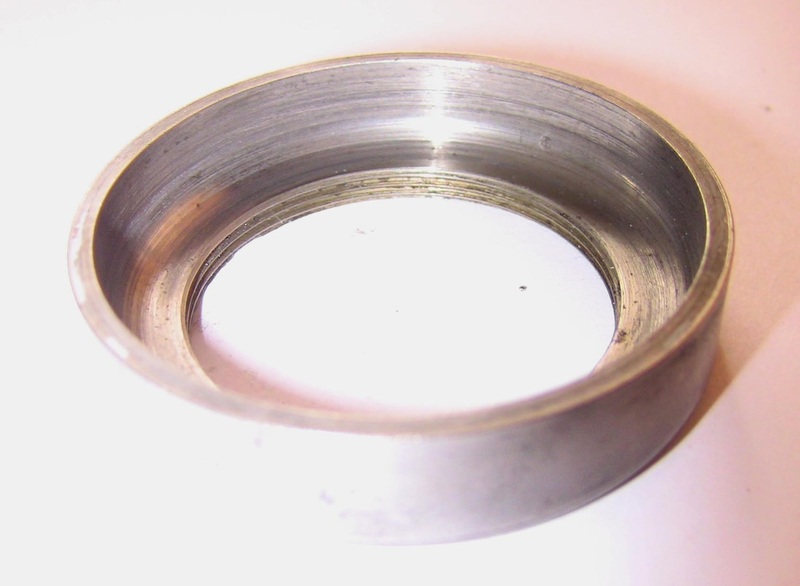 The picture below of an old bearing cup shows that the centre of the cups are threaded. I bought a set of new bearings from an advertiser in Old Bike Mart. 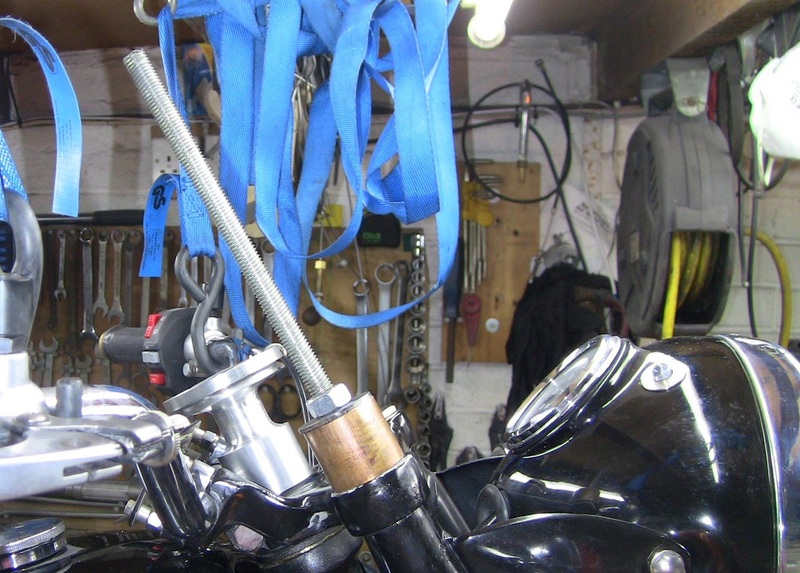 This company is Kidderminster Motorcycles ( 01562 66679 ). They loan the extractor tool and supply a reply paid envelope. Excellent service ! New steering head bearing kit.